Celigo’s iPaaS integration platform, integrator.io, makes it fast and easy to integrate with cloud databases. Currently integrator.io supports Microsoft Azure Cloud SQL, MySQL, and PostgreSQL with support for other databases available shortly. Using integrator.io 4-step wizard, you can easily export data from a database into another cloud application or FTP server. You can also import data – or perform data inserts – to a database. Matt Graney, VP of Product Management, shows us how integrator.io makes it easy to create database integrations in this short video. Exporting data from a PostgreSQL database running on Amazon to a FTP server. 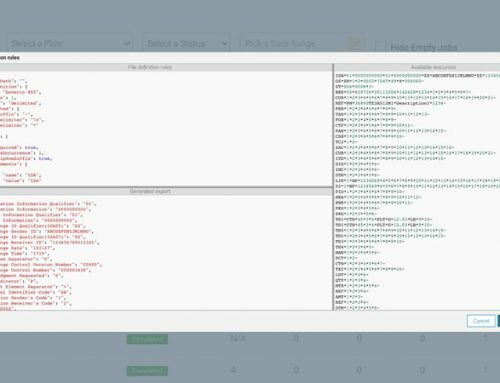 He shows how integrator.io provides sample data as you create SQL statement to validate you are selecting the right data points. Data mapping can be done either using drop-down menus to map fields or directly creating SELECT statements. Importing customer data from .csv file on a FTP server and inserting it into PostgreSQL database. When mapping data, a SQL query build is available and validation can also be easily done by previewing sample data. Celigo’s integrator.io is specifically designed to make cloud integration fast and easy for anyone. Use integrator.io to automatically pull or push data into your databases. For more information see Matt’s video or view the Customer Compass article on importing or exporting data into a database (access requires an integrator.io subscription).